Here memes, there memes, everywhere meme-memes! Who doesn’t love them? 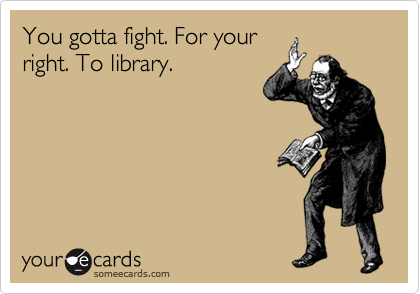 We’ve compiled a list of 42 library related memes for your LOLing pleasure with identification of each (where possible) as to which is which. Enjoy! Doesn’t take out any books, library alarm still goes off. How do I cite sources for my research paper? Use the library writing and citations resources. Patron calling library, Y U no use library website. 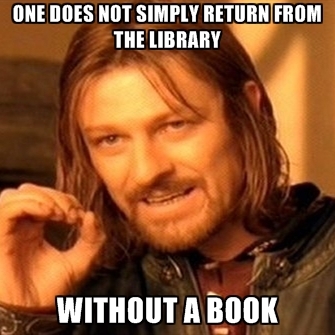 One does not simply return from the library without a book. A George W. Bush library? Do tell me more! What if I told you that wearing high heels in the library is a bad idea. I don’t always chew up your books. But when I do, they’re from the library. Caught eating in the library, thousand yard stare. 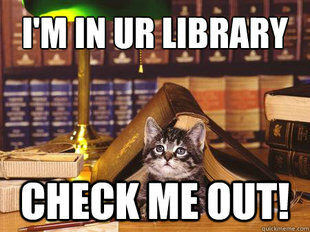 I’m in your library, check me out! 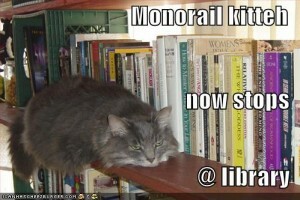 Your library wants a cat? Pick me. Good thing I brought my library card because I’m checking you out. In the library to work on chinese imperialism assignment, look up memes instead. 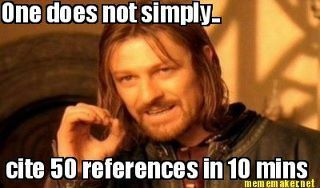 One does not simply cite 50 references in 10 mins. 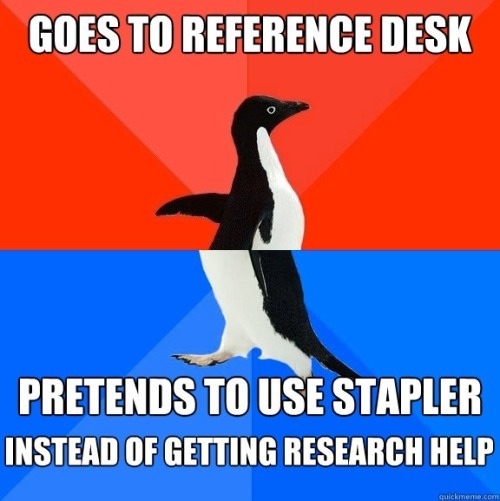 Goes to the reference desk, pretends to use the stapler instead of getting research help. I know finding sources for your papers can be tough. 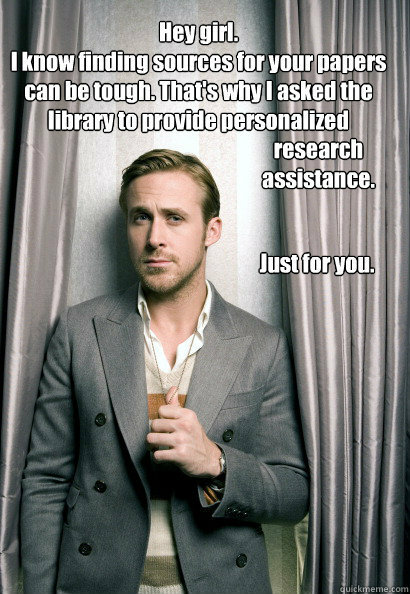 That’s why I asked the library to provide personalized research assistance. Just for you. 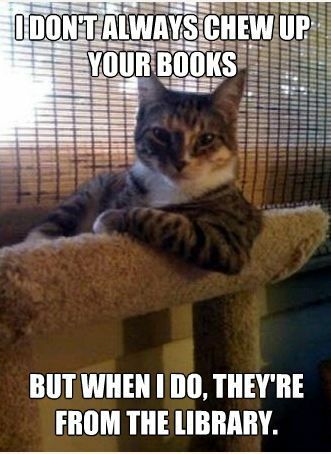 I don’t always use the library but when I do I get great results. 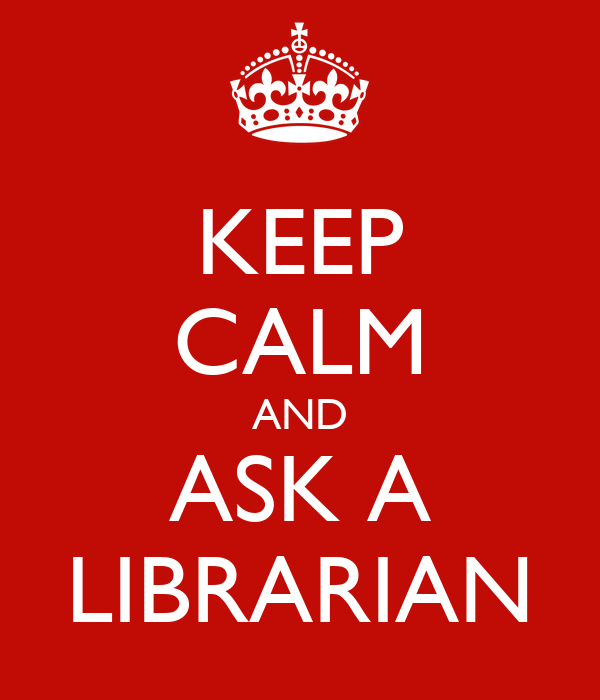 Keep calm and ask a librarian. 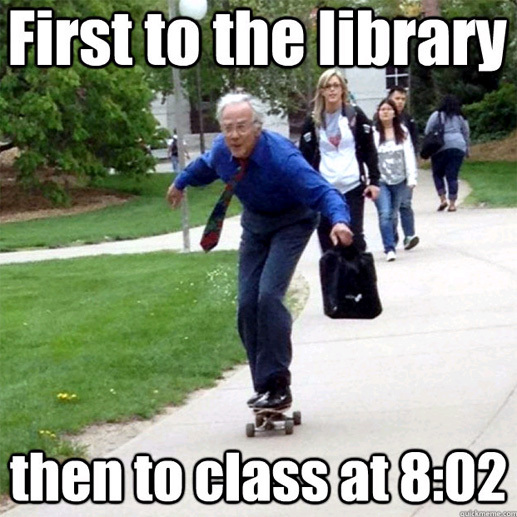 First to the library then to class at 8:02. You have fines over 10 pounds, lets you borrow his library card. 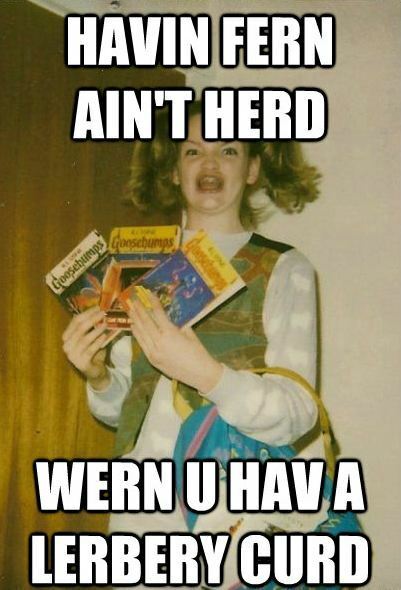 Havin fern ain’t herd wern u hav a lerbery curd. 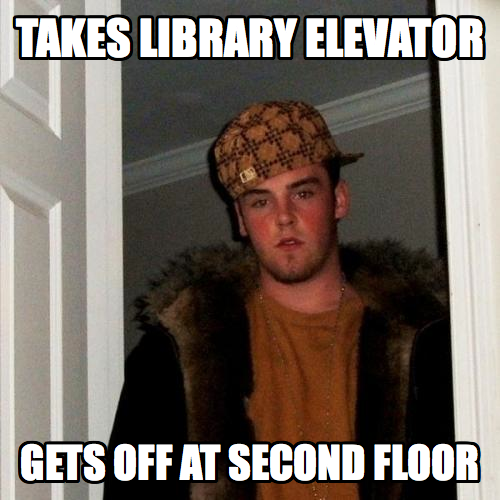 Takes library elevator, gets off at second floor. 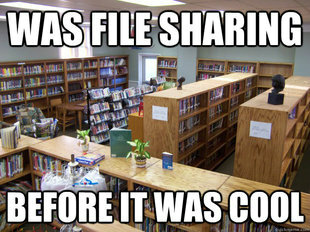 Was file sharing before it was cool. I can book a room in a room of books? 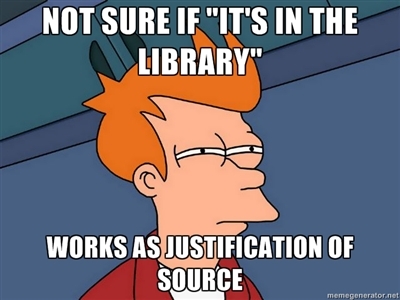 Not surf if “it’s in the library”, works as justification of source. I go to the library to read all the new facebook statuses. If you talk in the library, you’re gonna have a bad time. Need to pee when in library, don’t want to lose my computer. 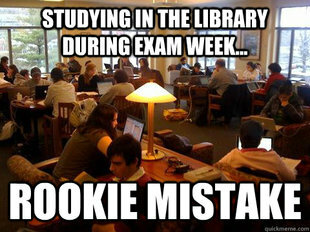 Studying in the library during exam week …Rookie mistake. Talked in library line, Q tip are my soul. You gotta fight. For your right. To library. Walking around library during finals week, found a study room. 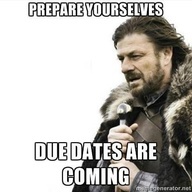 Prepare yourselves, due dates are coming. Goes to the library, opens chat. Plug headphones in at library. Everyone can still hear my music. No eating or drinking allowed in the library? Eat and drink in the library. 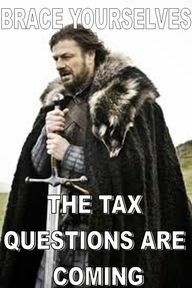 Brace yourselves, the tax questions are coming. 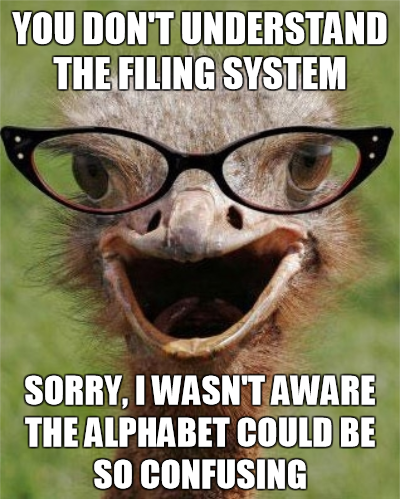 You don’t understand the filling system. Sorry, I wasn’t aware the alphabet could be confusing. Book not in library? Library will buy for you. A librarian does not simply shut kids up with shhh. Went to library, found book I wanted. This entry was posted in Ask a Librarian Software, Library Marketing Tools, Mobile technologies in libraries, Text Messaging Reference in Libraries and tagged Bad Luck Brian, Chat Software for Libraries, Game of Thrones Meme, Library Memes, Mosio for Libraries, Success Kid on June 3, 2013 by Sherryl. One does not simply mistake a LOTR reference for a Game of Thrones reference. 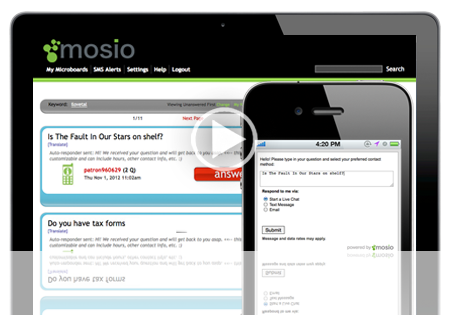 The most efficient way to receive and respond to patron questions, whether they are online or on-the-go.